The Franklin Area Historical Society's summer exhibit, Franklin Art and Artists, features works by Franklin students and graduates, residents, and employees. Works include oil, watercolor, mixed media, computer-generated, photography, and more. The biggest work is “The Starry Night-Recycled,” the creation of Pennyroyal students and faculty. 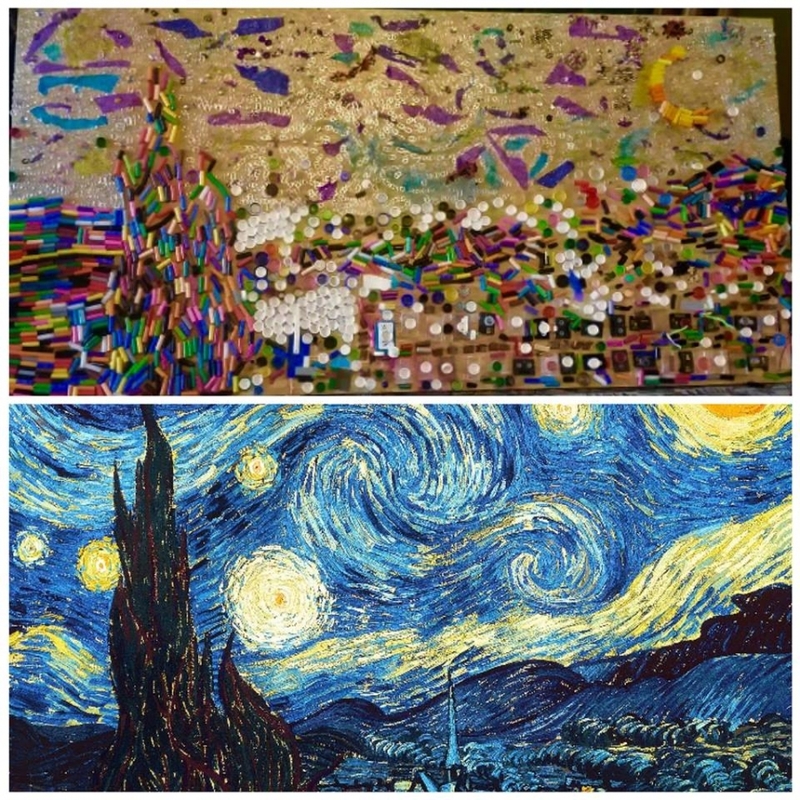 A collection of trash was assembled “Van Gogh” style to resemble this well-known work. The exhibit also features two oil paintings of historic Franklin scenes from the museum collection. See this exhibit at the Harding Museum, 302 Park Ave., Franklin, on Saturdays through September between 11 a.m. and 3 p.m. Vote for your favorite piece. Franklin City Schools is an in-kind sponsor of this exhibit.